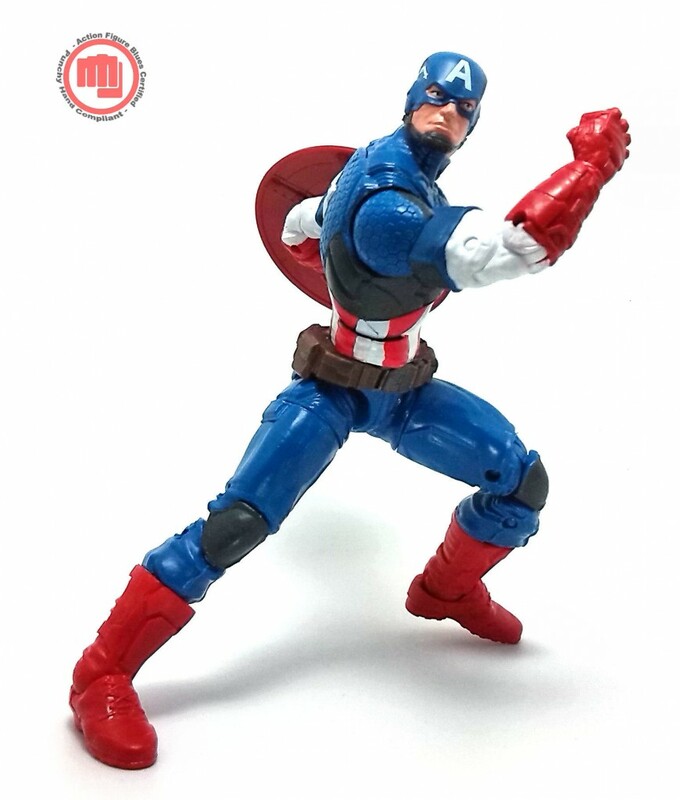 Ever since the release of the Captain America in the Avengers Movie Series , I sort of wanted a more modern version of the character in my collection, but the Ultimate Captain America that came out in the Marvel Legends Hit Monkey wave didn’t quite fit the bill for me. I still hemmed and hawed about getting that version for a few weeks, but then Hasbro released the Marvel Now! 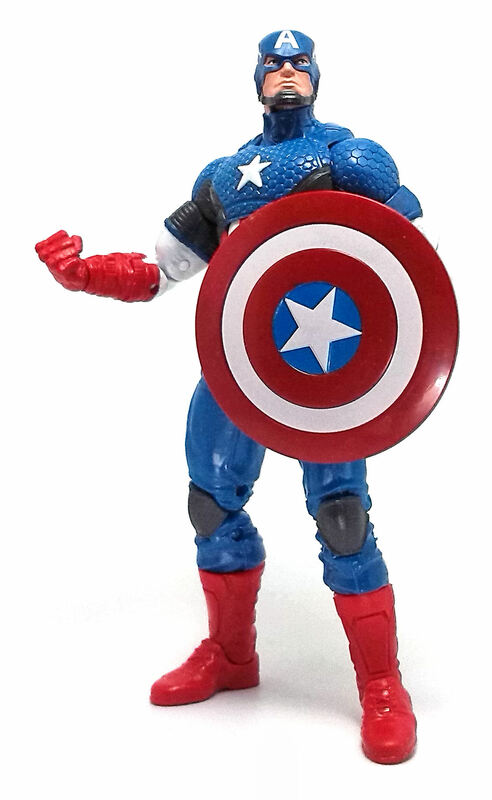 Captain America figure as part of the Marvel Legends Infinite Series wave dedicated to the Captain America: the Winter Soldier movie, which I ended up buying instead. All the joints feel tight and sturdy, providing a good deal of stability even in very dynamic poses. The only aspect where this figure falls a little short is on the paintjob. Even though the colors are generally bright and clean, a lot of the figures I perused at the store had coverage issues, smears and misaligned A’s on the head. In the end I went for one that had a roughly centered A on his mask, but required a few touch-ups to the torso and abdomen. metallic red plastic and sports a combination peg and C-clip on it. 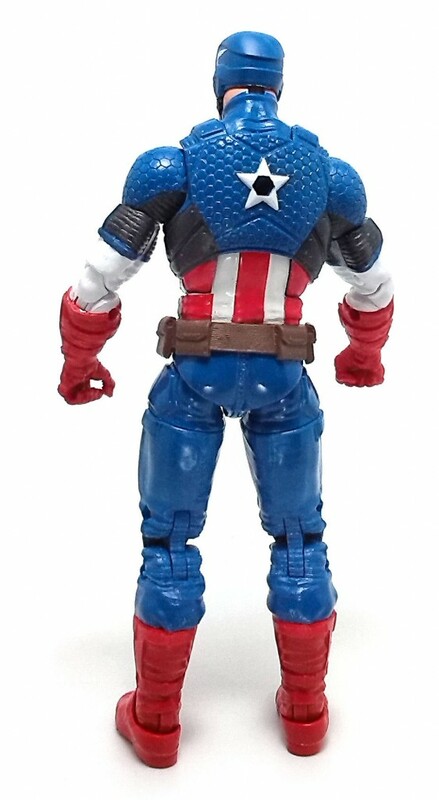 Although the peg allows Cap to carry the shield on his back, the C-clip does not quite work as well securing the shield onto the forearms because it is made from a fairly flexible material. 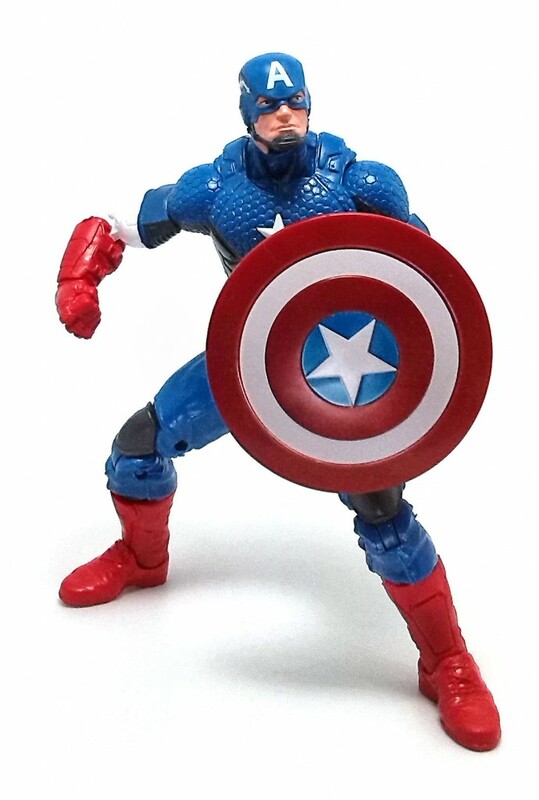 In addition to the shield, this figure also comes with a piece to build the S.H.I.E.L.D. Mandroid figure. MN! 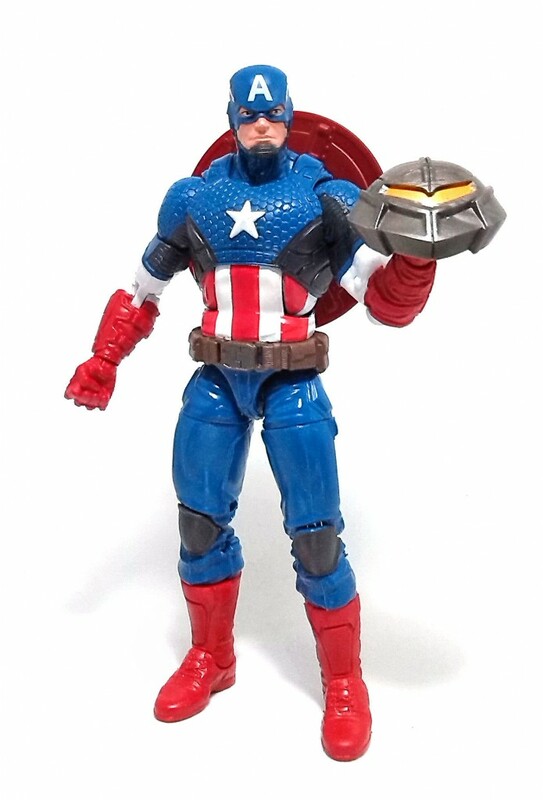 Cap comes with the head piece, which is molded in metallic gray plastic and has a nicely painted yellow/orange visor. 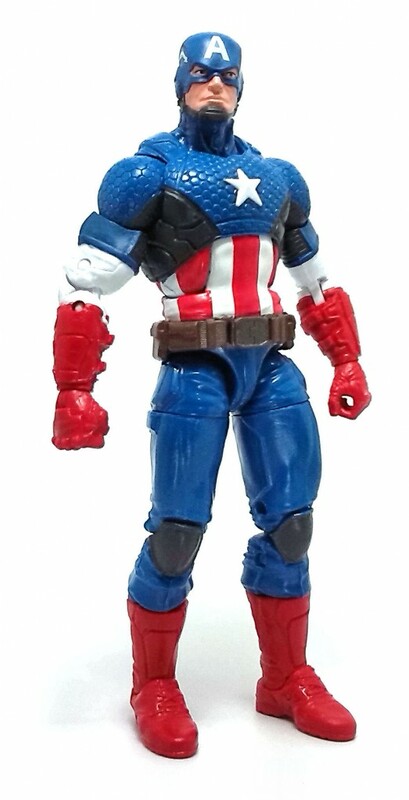 Minor quibbles aside, I found this version of Captain America to be a pretty good update to the costume and a fun action figure to boot.